Nowadays, most people want to use internet on the move and the gadgets that they use are enabled for tapping into wireless networks. When one is traveling in a group or need to be connected on the go, they can get hold of a portable wireless router that will allow several devices to be connected at a go. These devices come as a small sized, pocket devices that can create a hotspot wherever they are plugged in. That allows several devices to be connected to it and these devices can then connect to the internet. Check the data planThere can be different kinds of pocket wireless devices that can allow several devices to be connected to the internet. The capabilities of these devices differ and one needs to know the data plan as offered by the service provider before they start using the device. Some data plans are expensive as per the data amount downloaded while others have an unlimited data download till a certain limit. For any quality mobile pocket wifi device you need to check the data plans before you proceed to use it. Locked or unlocked devicesWhen you are purchasing a mobile pocket wifi device you need to know whether it is locked or unlocked. That refers to being aligned to the settings of a certain service provider in contrast to a device that can log onto the network services of different carrier services. When investing in a portable wireless device, it is best to choose an unlocked device that will offer one or more options on the move. Number of devices connectedWhen you are opting for a mobile wireless router, check for the number of devices that it will allow to be connected at a point in time. Usually the portable router devices these days allow five devices to be connected at a go. When you are investing in a bigger family you might want a plan or a device that will allow more devices to be logged in. The same is applicable for office connections as well. Check compatibility with service providersWhen you are purchasing a wireless router you need to check whether it will be compatible with the different service providers who offer network services in your area. You can look up reviews and feedback on different technical forums in order to ensure that the router will work fine with the available network services in your area. For that reason, it makes sense to purchase a local router device than investing in a fancy router from overseas that will not be compatible as per its settings with the local service providers. 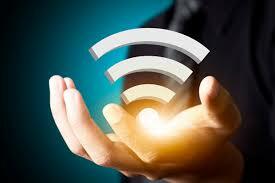 With these points checked one can get great service out of their wireless router.